One of the most reliable, large and famous rooms on the market. Good traffic at all limits. 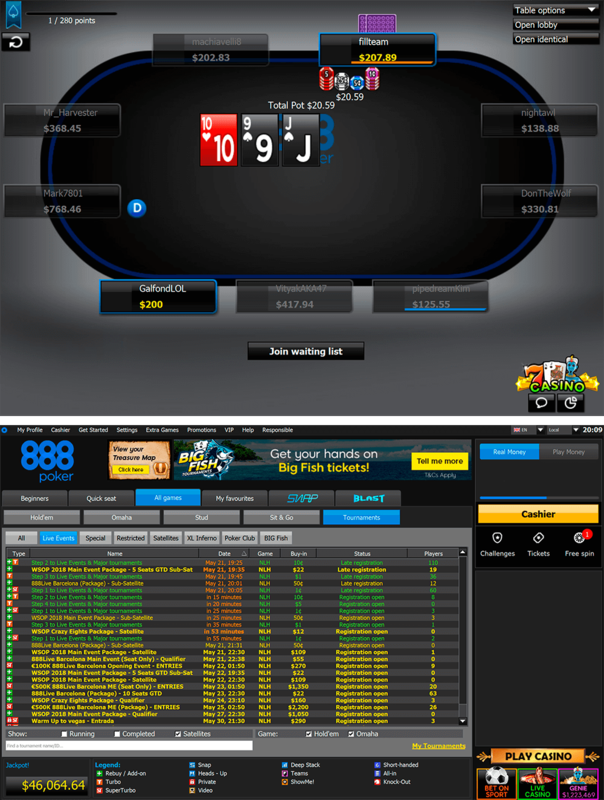 888Poker is one of the most popular rooms online. It has been around for more than 15 years and is currently second in traffic, only behind PokerStars. One of the main reasons behind the operator’s success is the large number of promotions. Each player can get a lot of 888Poker rakeback thanks to the non-stop offers. This works for both recreational players and pros alike. Another part of the room’s strategy is to spend a lot on marketing campaigns and attract new customers. This obviously works, as the traffic is great across all levels. If you want to learn more about the operator, our 888Poker review is here to help. Our 888Poker review showed that the room is among the leaders in the industry when it comes to the number of players. According to Pokerscout, only PokerStars has more players than 888Poker. The peak times at the room are around the evenings in Central Europe, while the currency used is USD. High limits: there aren’t many poker rooms that can compete with 888Poker when it comes to the higher limits. You can find decent action up to $5k NLH and $1k PLO. It is especially good in the peak times, but there are usually tables during the day and night as well. We will continue our 888Poker review with a deeper look at the tournament lobby. The room is a paradise for MTT specialists, thanks to the tons of exciting guarantees that run each day. The buy-ins start low and could reach $2-3k. As in most poker rooms, some of the most lucrative events are during the weekend. The SNG options offered by 888Poker are also impressive. You will be able to pick between heads-up, 6-max, 9-max, and other options. Other options like the speed and the buy-in also provide a lot of flexibility. 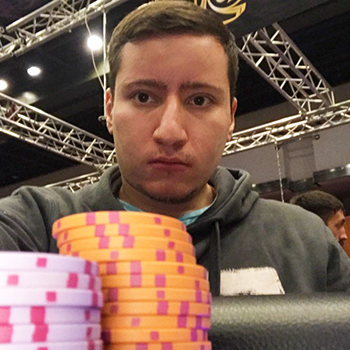 Most SNG formats are running regularly, even outside of the peak hours of 888Poker. In fact, if you are looking for SNGs with a higher buy-in, 888Poker is one of the best places online. Finally, 888Poker is one of the most progressive poker rooms. It always tries to stay in touch with the latest trends in the industry and develop new and exciting poker formats. One of them is the company’s very own fast-fold product called Snap Poker. Our 888 Poker review shows that you can play cash games, tournaments, and even the Push or Fold option. And finally, 888Poker offers the Blast Poker format. You can play this hyper turbo SNG for 4 players and compete for a random award. If you are lucky enough, it could reach 10,000 times your initial buy-in. The levels are $1, $5, $15, $30, and $100. The first 4 are running regularly even outside the peak hours of 888Poker. The 888Poker software is unique and doesn’t share the platform with other rooms. It has been around for ages and the company managed to improve it significantly through the years. The best news is that there are plenty of options you could customize in order to find the most suitable configuration. For example, you can filter the different tables, auto-rebuy, switch skins, and other stuff that are quite handy. You can easily multi-table thanks to the many features offered by 888Poker. The also has some video tables and 3D Graphics for those who are open to trying new stuff. If you want to play poker on the go, 888Poker will certainly oblige. The company has developed native apps for the most popular brands like iPhone, iPad, and Android. Simply download and install to enjoy the games from your phone or tablet. The other advantage of the 888Poker mobile version is that boosts the number of recreational players even further. Poker players that prefer using software such as Holdem Manager or Pocker Tracker will be happy to understand that 888Poker allows both tools. The rake at 888Poker is 5% weighted contributed. To conclude this 888Poker review, let’s take a quick look at the main advantages of the poker room. For a start, it has exceptional traffic and a lot of soft opponents. This is a consequence of the many ongoing promotions that provide extra value and the opportunity to grab a lot of 888Poker rakeback. 888Poker offers good 400$ Sign Up Bonus. One of the few downsides of 888 Poker is that the support is not at the same level as everything else. A lot of people are complaining about the slow and inadequate responses. However, our managers are always working hard to help players that might have any issues with 888 Poker. How to register in 888poker?